If anyone has seen the art room lately, you know we are fully immersed in the papier mache process! 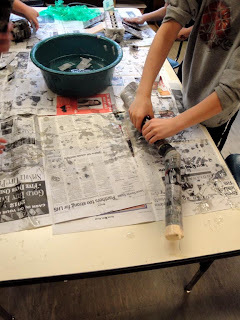 A HUGE thanks to those parents who have been brave enough to weather the papier mache storm with me! Here is a pic of the kids hard at work!